The U.S. trade deficit narrowed in November by more than forecast to a five-month low, as imports tumbled by the most in more than two years amid an intensifying trade war. The gap fell 11.5 per cent to US$49.3 billion, according to a Commerce Department report Wednesday that had been delayed a month by the government shutdown. The median estimate of economists surveyed by Bloomberg called for a deficit of $54 billion. Imports of all goods and services dropped 2.9 percent, while exports declined 0.6 percent. -The figures suggest tariffs may be weighing on trade, as imports of Chinese goods fell by about US$3 billion in November to US$42.8 billion. In addition, levies on items from other countries including aluminum and steel may be weighing on business, with firms being forced to absorb higher prices or to pass those costs on to customers. -The data also reflect the outlook in November, when companies expected U.S. tariffs to jump on US$200 billion of Chinese goods effective Jan. 1; that increase has since been delayed to March 1 as the U.S. and China try to resolve their differences on trade. 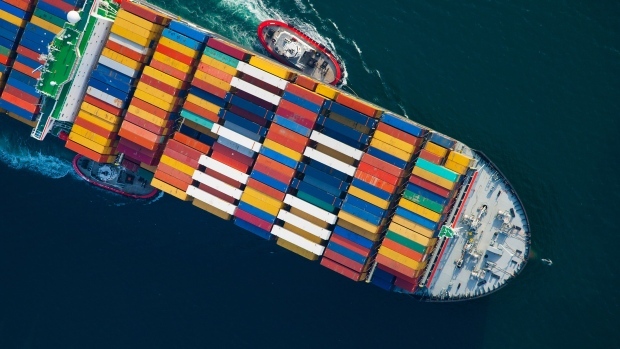 -The report helps fill in a key data gap caused by the shutdown, showing how net exports will affect the reading of economic growth in the fourth quarter. In the prior period, trade was the biggest drag in three decades. -President Donald Trump has repeatedly pledged to reduce the deficit, saying it shows how other nations take advantage of the U.S. But with a solid U.S. economy that’s boosted import demand, the trade war and a strong dollar, the gap has widened since his election in 2016. -Overall exports came in at US$209.9 billion following US$211.2 billion the prior month, reflecting declines in industrial supplies and materials and consumer goods. Imports fell to US$259.2 billion from US$266.9 billion, reflecting drops in petroleum products and oil, as well as consumer goods. -Exports and imports of goods account for about three-fourths of America’s total trade; the U.S. typically runs a deficit in merchandise trade and a surplus in services. -The report, originally scheduled for Jan. 8, was delayed by the five-week partial government shutdown because the Commerce Department was closed. The preliminary report on the merchandise-trade balance, originally set for Dec. 28, was canceled following the shutdown. --With assistance from Kristy Scheuble.